Audi is going all-in on electric vehicles, or at the very least the German automaker understands the importance of beefing up the EV lineup in the few years. With 12 electrified models slated to appear before 2025 at Audi, we can expect a host of new entrants in 2019 and 2020. One of those models could very well be a new Audi electric SUV that would position itself below the Audi e-tron Quattro and would be smaller than an Audi Q3 in terms of interior and exterior dimensions. 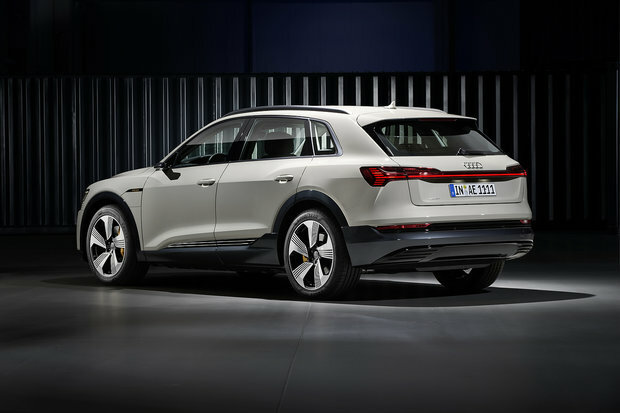 As Audi’s entry-level electric SUV, this model would probably be priced in the $60,000 range and could hit the market as early as 2021 according to British publication AutoCar. As for the Audi e-tron Quattro, well it’s already for sale at Glenmore Audi and you can place your order today. The e-tron Quattro is powered by two electric engines (one on each axle) that provide 300 kW of power which is enough to get you to 100 km/h in less than 5.0 seconds. Better yet, the 95-kWh battery powering the e-tron Quattro is good for 400 kilometers of range and can be charged in just 5 hours using a quick charger. The e-tron Quattro is also quite spacious and doesn’t just put all of its eggs in the EV basket. It has 660 liters of cargo space behind the rear seats, more than enough for the needs of buyers of an SUV this size. If the e-tron Quattro is any indication, Audi knows what it is doing when it comes to EVs. We can’t wait to see the upcoming smaller electric Audi luxury SUV. In the meantime, come in today and learn more about Audi’s lineup of sport utility vehicles.